I'd scattered some images and commentary across other threads, but I decided that I was going to a sufficient number of these places to give them their own. Here's the thing: I didn't grow up with these roadside joints. I grew up in the middle of the Quad-Cities, one of the larger urban areas in the Midwest. I went to school in one of the cities; my parents worked in two of the cities; we ate in all four of the cities. When I was little, glimpsing the countryside usually meant that we were going to one of three places: the Showcase Cinemas theater in Milan, my aunt and uncle's place in Blue Grass, or, for whatever random reason, Des Moines. These trips were direct, and we did not eat on the way. That was the '80s, when Interstate highways had already been around for a long time. When my sister and I left for college in the '90s, we attended Iowa State University and the University of Iowa, respectively; for us, roads had become neatly categorized into city streets, I-80, and I-35. That was it. We had no reason to bother with those weird state highways, or, more unsettling still, county roads. None of our friends lived out there, Showcase Cinemas had opened up a theater in the QC, and some family drama, the exact nature of which I am still blissfully ignorant, led my parents to cease communication with the aforementioned aunt and uncle. If there were, indeed, weather-worn stands serving up classic American greasefare - and one imagines there must have been, in a state that big - I never once had occasion to encounter them. Food meant whatever was near our colleges (and, thankfully, some of those local gems are still around). I didn't start exploring restaurants until I moved to Kansas City in 2004 with my very own car, and I didn't start seriously exploring until I moved to Connecticut in 2012. By a happy coincidence, I had discovered the Roadfood website only a year before, thanks to a thread about Italian steak sandwiches in the KC area. I pivoted from that to Connecticut grinders, and branched from that to pizza, Italian, Polish, traditional diner fare, and the other varied eats that this state does so well. (Unfortunately, I don't do seafood.) 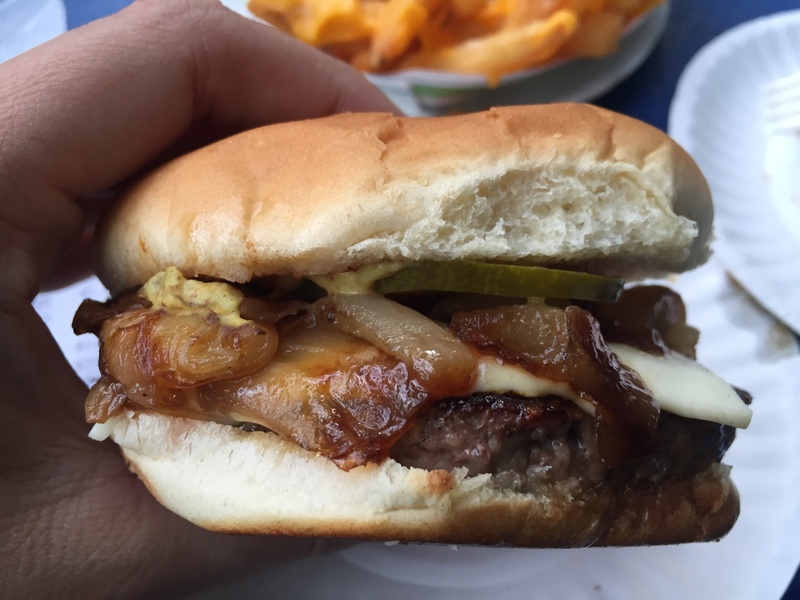 Having not grown up with roadside burgers, or, really, a burger tradition of any kind, I just didn't have them on my mind to seek out in CT... until I saw Michael Stern's entry for Clamp's out in New Milford. What I'm finding, perhaps unsurprisingly, is that these establishments seem local in a way that's closer to the grinder shops I've visited than to Sally's or Louis' Lunch. The latter two are iconic, and if you want them, you drive to New Haven, period. While grinder shops certainly specialize in different things to distinguish themselves as individual destinations, such as roast beef or chicken cutlets, if you want a sandwich (likely huge) prepared with skill and quality ingredients, you're probably all set no matter where you are in Connecticut. Hartford has Franklin, Maple, Corner, and, a little ways south, the Wethersfield Pizza House; Torrington has Carbone's Market; Mystic has Pasta Fresca & Piadina; New Haven has Vito's and many other places. Likewise, every region appears to have its own longstanding roadside joint. New Milford has Clamp's; Colchester has Harry's Place; Higganum has Higgies (the Pilot House in nearby Haddam seems to be closed this season, but hopefully not for good); Naugatuck has Al's. 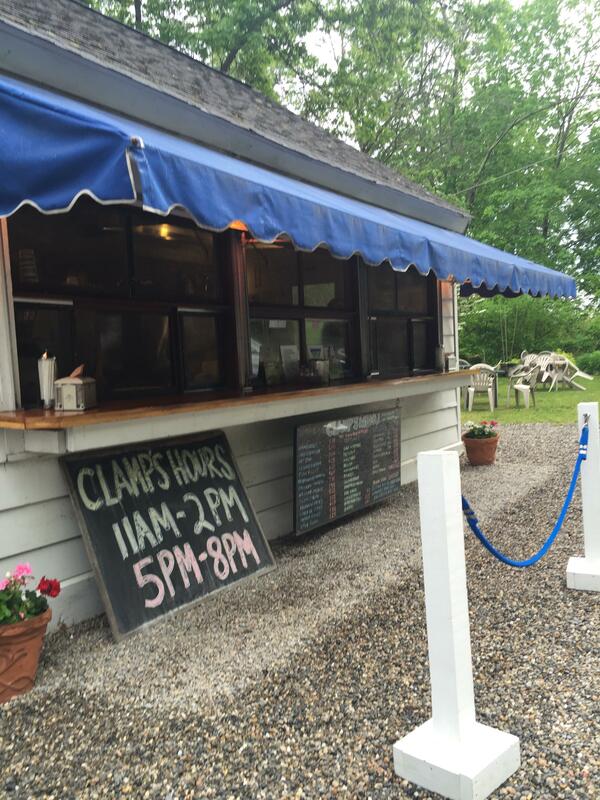 They're not drowning in Yelp reviews, but the ones that are there often talk about how the place was a family tradition when they were growing up. It's hard for me to not feel a little jealous. 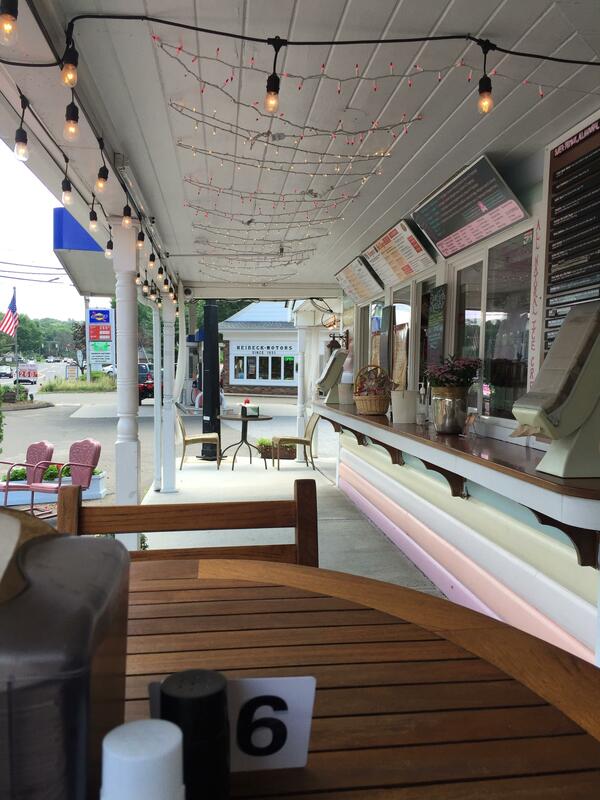 There's some overlap with places that are more known for hot dogs, but the format of the restaurant is, I think, the deciding factor: you get your food through a window, and you eat outside, watching the traffic go by. As for the food itself, the cheese on your burger is inevitably white. 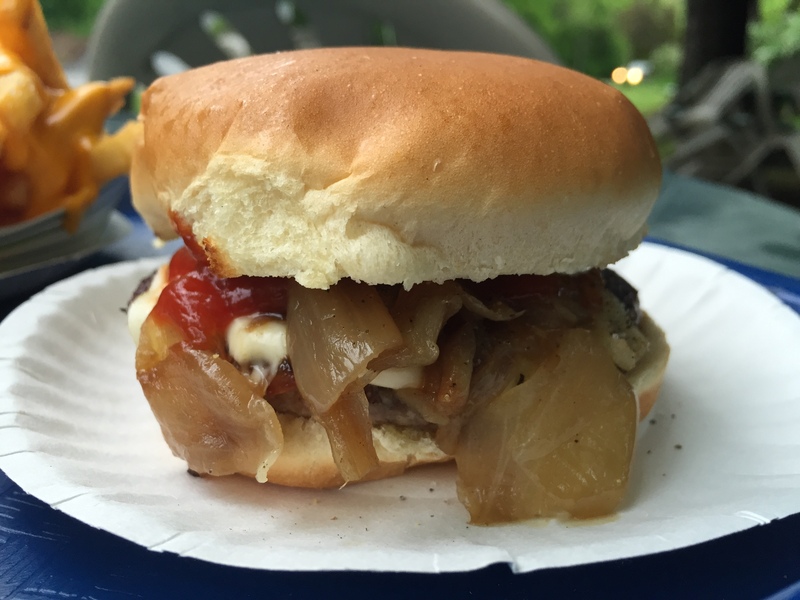 Grilled onions are mandatory. 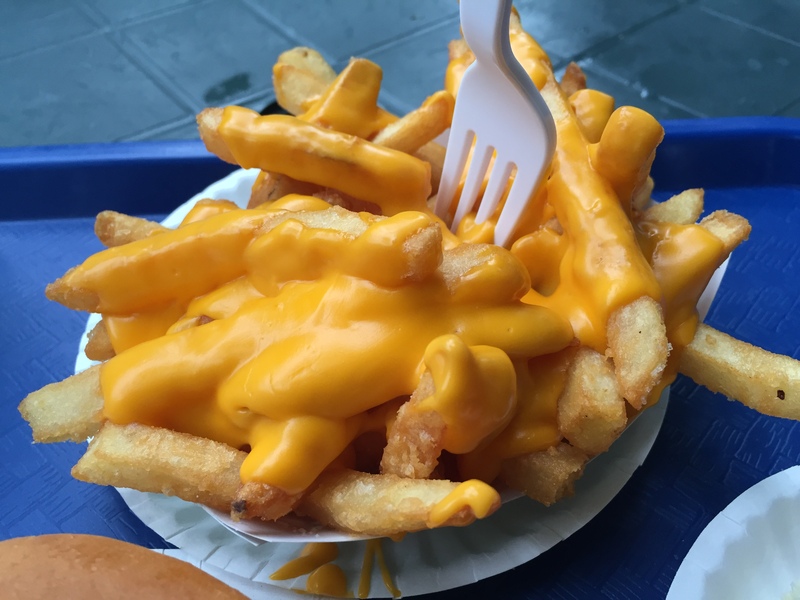 Fries are probably crinkle-cut. 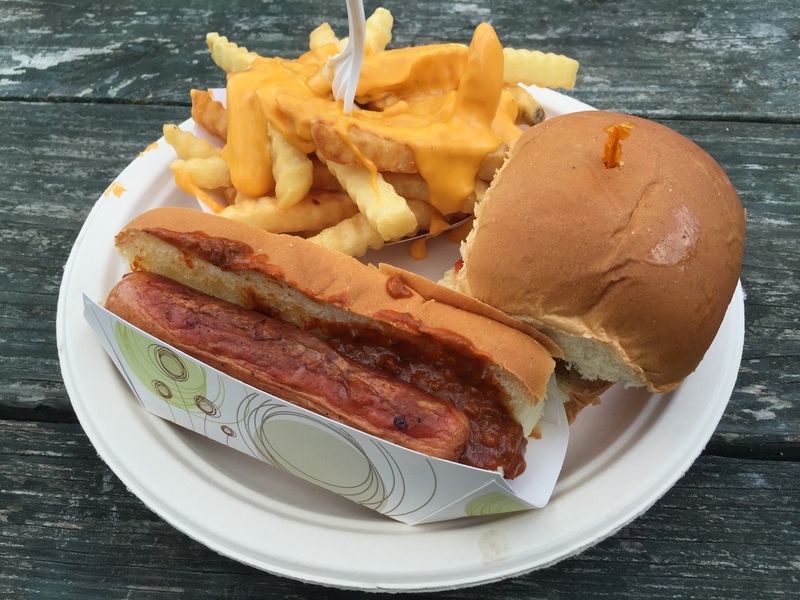 Chili and/or relish are homemade. 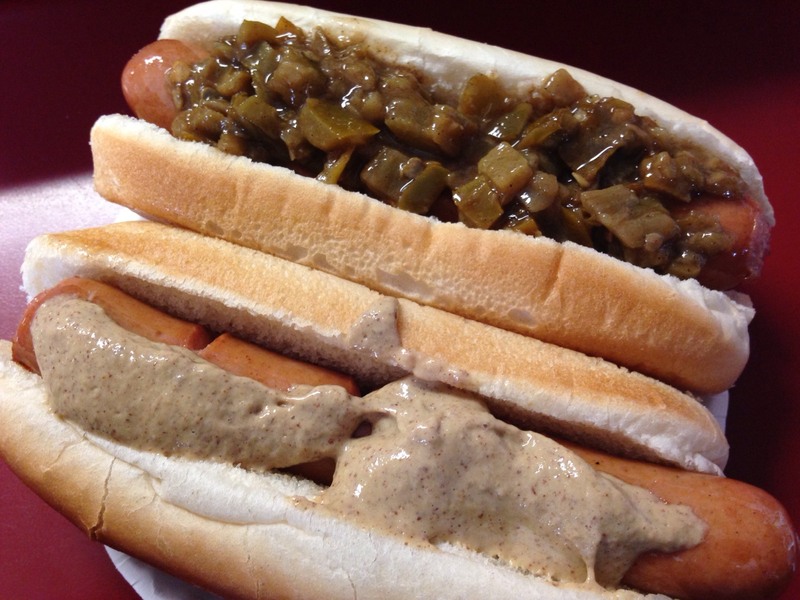 Hot dogs are Hummel's, Rosol's, Thumann's, or another recognized northeastern brand. I've discovered all of this in 2017, at the age of 36. To say that I'm late to the party would be an understatement... but I'm not too late. Many of these places are still around. I try to ignore the threats from time's passage that loom over them all, and I'm grateful to be able to replicate an experience that generations of folks have had since before rock and roll was even a thing. Here's where I've gone so far this summer. 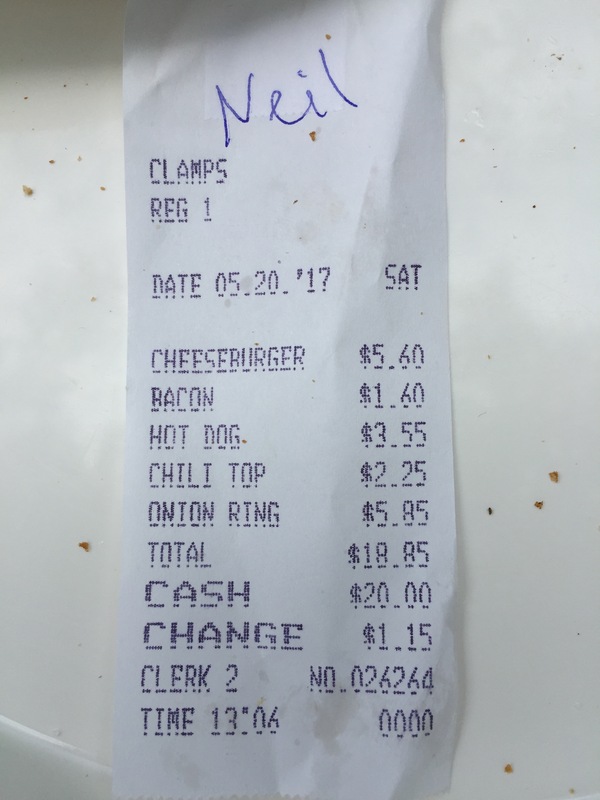 I know I just separated these places from the likes of Sally's and Louis' Lunch, but Clamp's hours reminded me of them a little bit. They're open at the weird hours that they're open, and you will just deal with it. They don't adapt to you - you adapt to them. 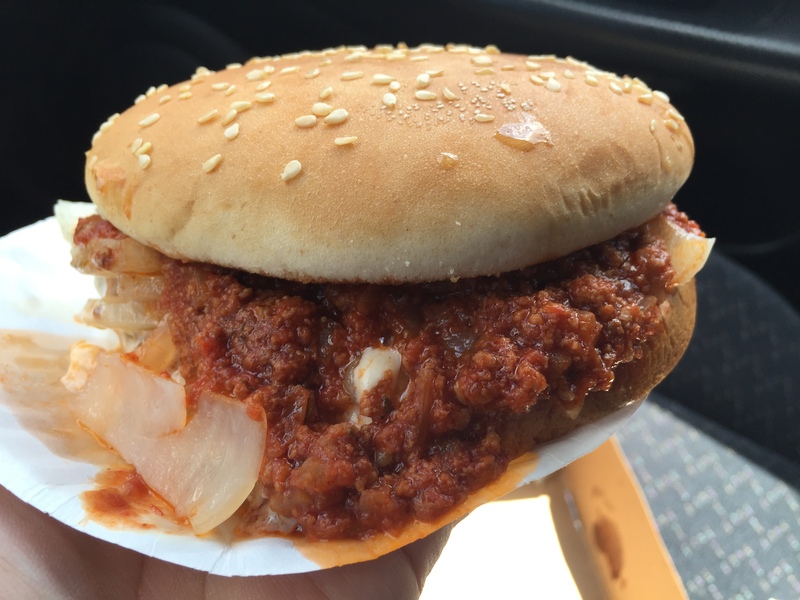 Two big things to recommend here: the onions, which are piled on more generously than at any other place I've tried, and the homemade chili, beefy and balanced. Prepare for grease. 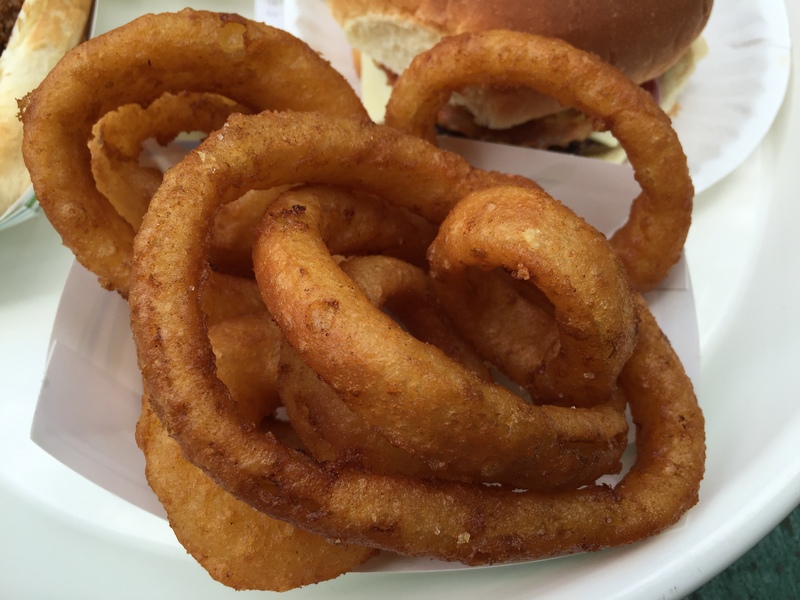 Neither the onion rings nor the fries take any prisoners. Oh yeah, and not cheap by any means, as I mentioned in another thread, but I'll pay it. They're a bit different from Clamp's, in that they've obtained official recognition (they're on the National Register of Historic Places), and they make more of a deal about themselves. Clamp's wins on onions, but Harry's wins on the beef patties. I'm guessing they're seasoned a little more. The chili... eh. Not much of it, and what I did taste didn't impress me. The fries were a good deal less greasy than Clamp's. Whether or not that's a good thing, I leave open to you. The cheese sauce was pretty comparable. 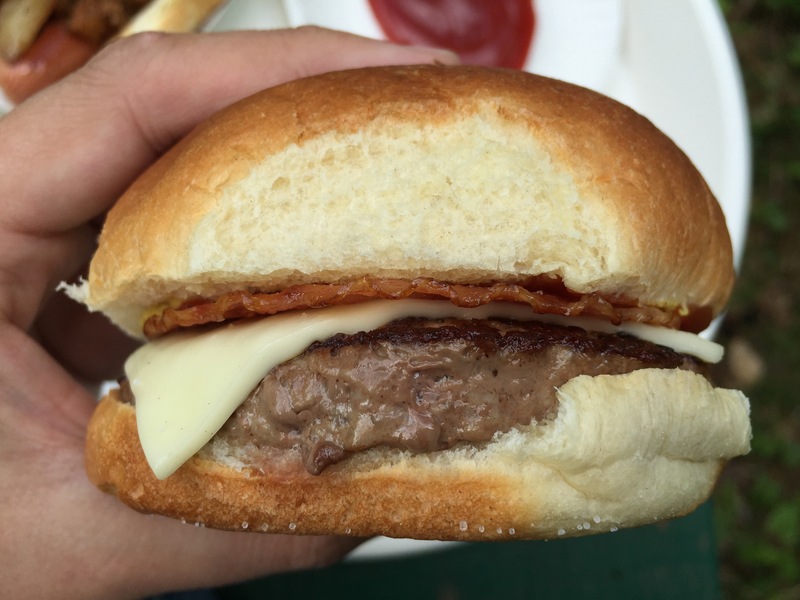 A solid burger, although nothing about it really stood out. I'd still gobble down a second without hesitation. Very good chili. A little more kick to it than Clamp's. 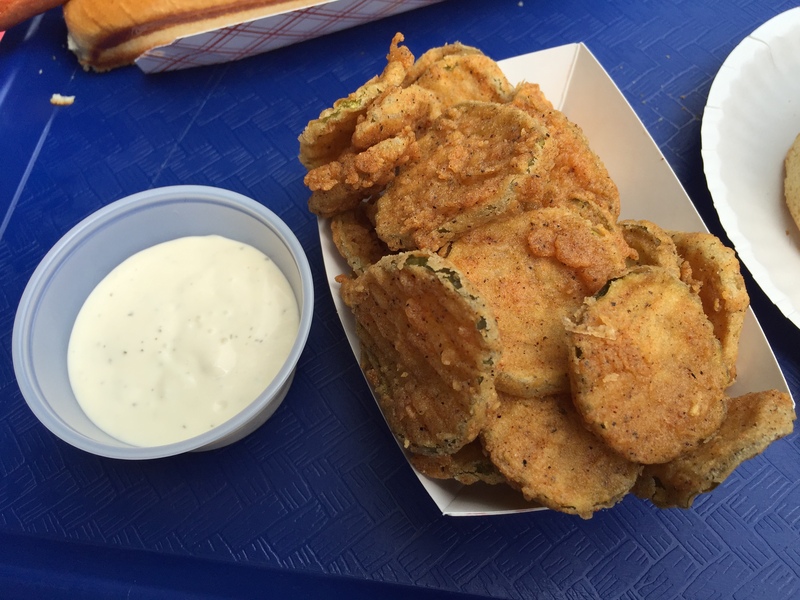 This was the first place I'd seen that offered fried pickles. How could I not? Again, not cheap. The tables outside were covered in caterpillars, so I ate awkwardly off the hood of my car. Honestly, I'd say it's worth a stop simply because it's the only place of its kind in the immediate area, at least until Pilot House reopens (assuming it does). This photo is from Google Maps. I've driven by on three occasions, at different seemingly-optimal times of day, and it's always been empty, with not even a "Closed" sign up. There are no remarks from people on Yelp, Facebook, or anywhere else indicating that it's shut down permanently; in fact, the most recent Yelp review is from this May. So I don't know what the deal is. I'll keep checking online and maybe try once more later in the season. That one is from Yelp. Apparently they're known for this relish. I sincerely hope I get the chance to try it. If you want to know what's going on with Pilot House, I suggest you skip the online searches and contact the local newspaper. In this case that would be the Haddam Bulletin. This is an impressive thread. Thanks for sharing it and good luck on the continuation. The burgers all look really good and I'd join you in any one of them. I see they are all using white cheese...white cheddar? How many do you intend or estimate to visit this summer? Love the photos so far. 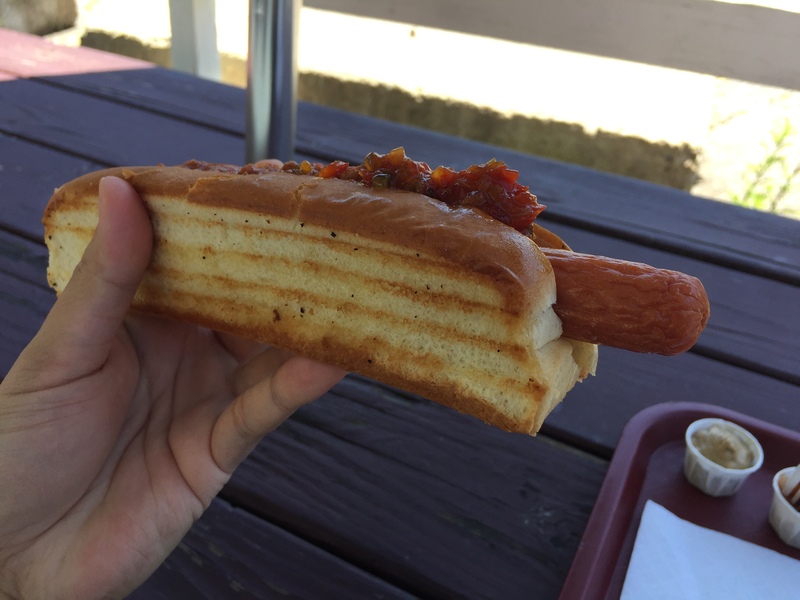 Higgie's Place hot dog looks incredible. Thanks! I sent them a note. I'd really hate to think that this place was closed down for good. As many as I can. If I keep at it, I should be able to hit them all by the end of the season. I think the only thing to stop me would be simply not knowing about a place. No we have not. Will look into it, thanks for the heads up. Here's hoping the news is good. 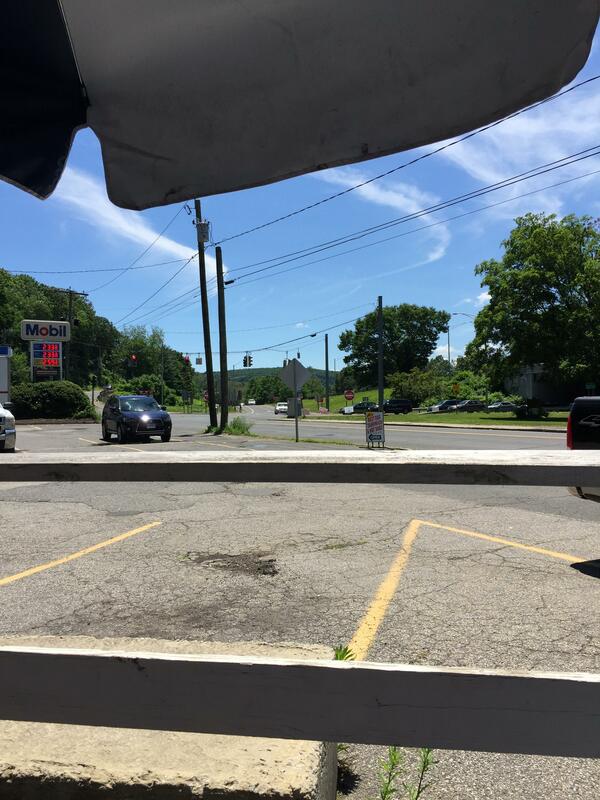 Al's gives the feel of being a lot older than it actually is, especially since it's just off Route 8, very much a pre-Interstate highway. Here it is, in all its summertime glory. 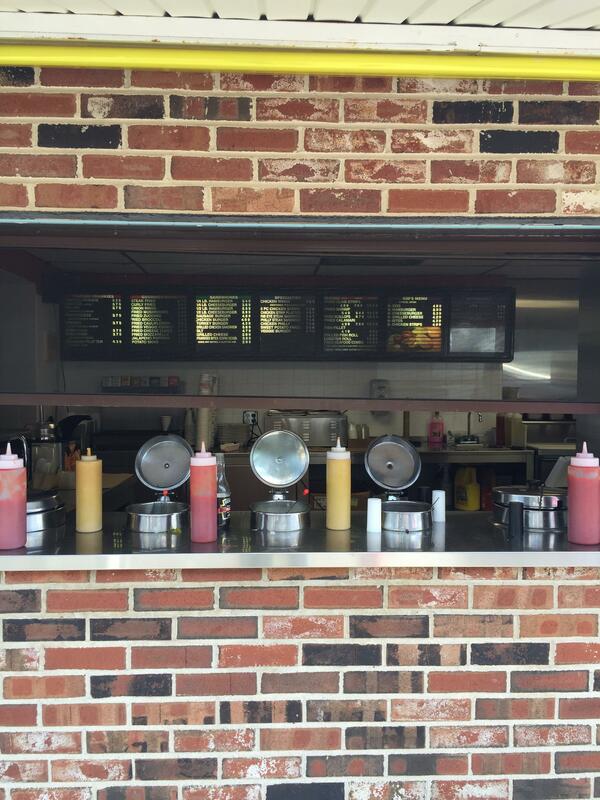 Usually, when I'm at one of these roadside stands, I get both a hot dog and a burger. This time, I was conflicted. 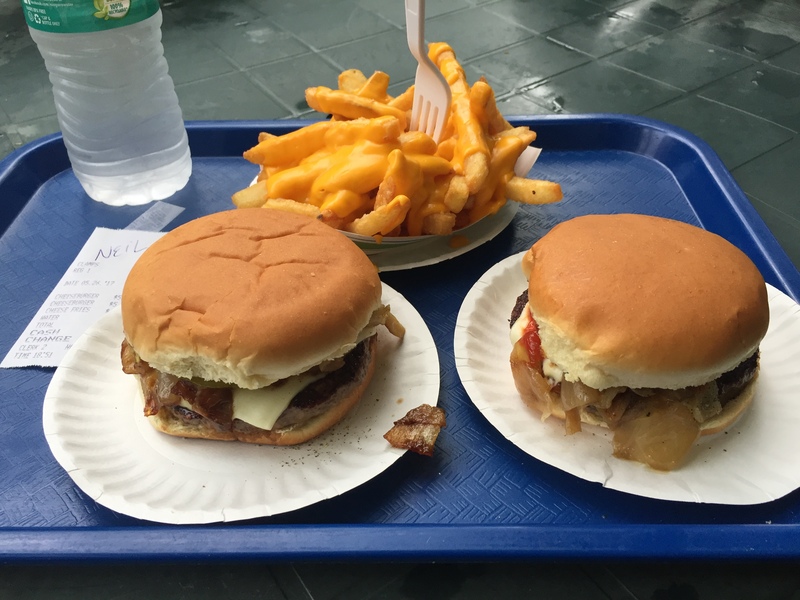 Al's burger earned only two stars from Michael Stern in his review - but it took the top spot in the Naugatuck Patch's poll! Reassuring myself that there were always future visits to be had, I substituted a second hot dog for the burger... although there were other things to tempt me. 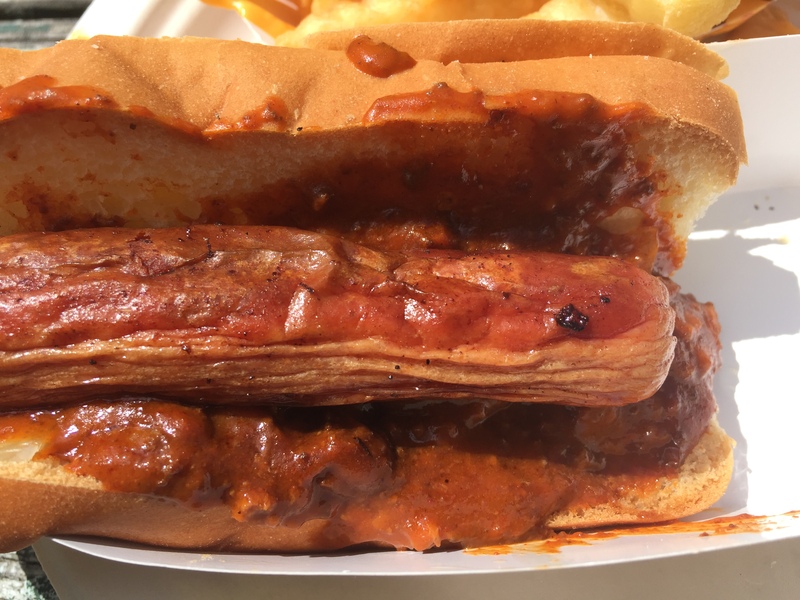 I feel like anyone with OCD, or, at least, a mind bent in that direction, couldn't help but notice the meticulousness here: both hot dogs laid down exactly parallel to each other, both chili and sauerkraut applied exactly from one end of the bun to the other. And speaking of the buns, how perfectly toasted is this? Yes. Al's is a precision operation. The relishes and mustard may be misleading, though. I placed those there. Left is hot, right is "Hawaiian". You can see the pineapple chunks if you squint. 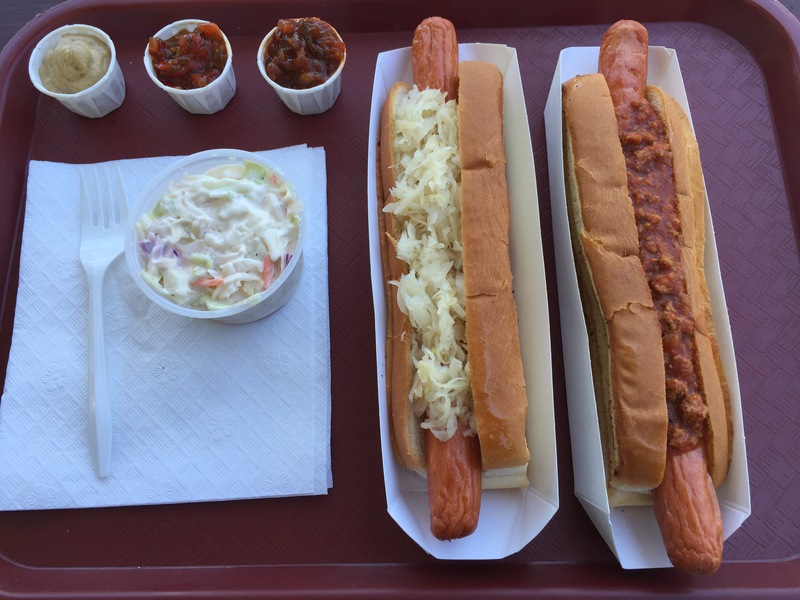 My first recommendation for a hot dog here would be the chili combined with the hot relish (same as I had at Guida's a couple of years ago). 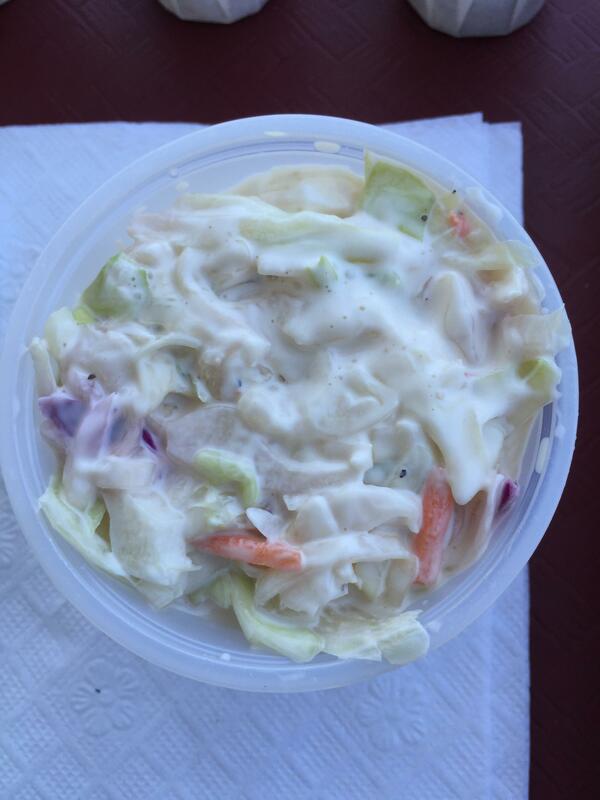 Coleslaw was a nice break from fried sides. Nothing remarkable, but it did the job. It's probably elevated a lot by being applied to a dog. 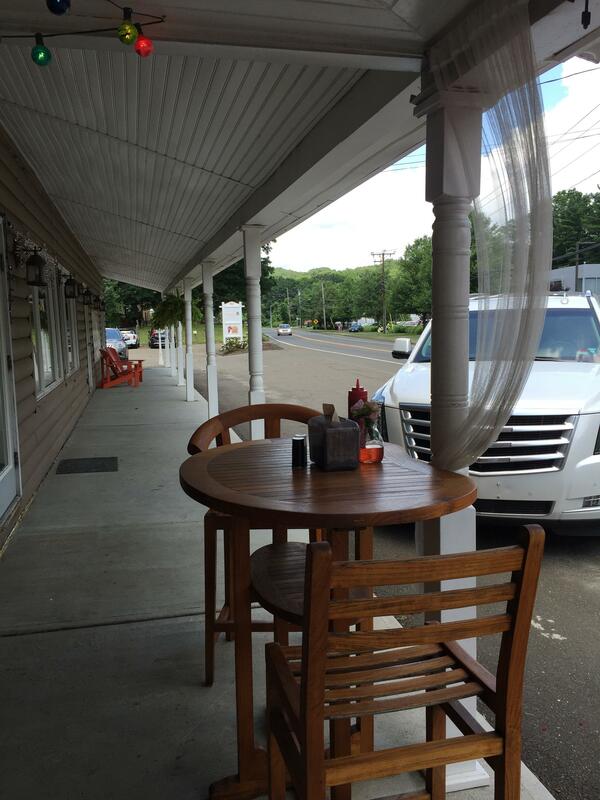 Slow, delightful eating as I watched the traffic from Route 8's exit ramp join South Main. It's not a building, but it's right by Route 66, and all eating is done inside your car or at one of a few tables, so I say it qualifies. Wonderfully friendly folks running the place. I think I need a do-over, though. Next time - and there will be a next time - the two dogs will be just the N.O. relish and just (homemade) sauerkraut. I do want to mention that Top Dog is the only stand I've so far come across that uses Thumann's dogs. Very satisfying snap. I've come a long way since the Oscar Mayer of my youth. My favorite is Frankie's in Waterbury, easy off, easy on I-80. 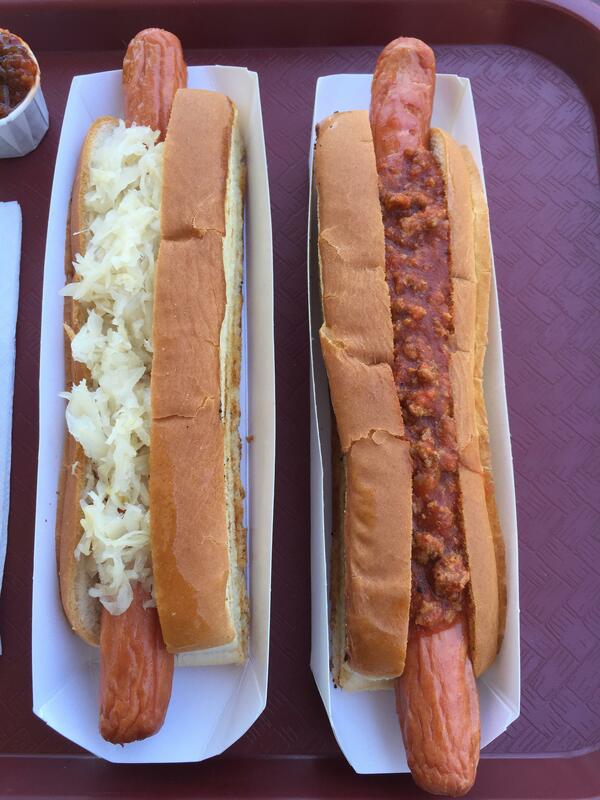 I usually pair my hot dog with a lobster roll or whole bellies. Killer burgers too. Great work as usual Ketteract! Keep 'em coming. Thanks! Wow! Great report, Ketteract! 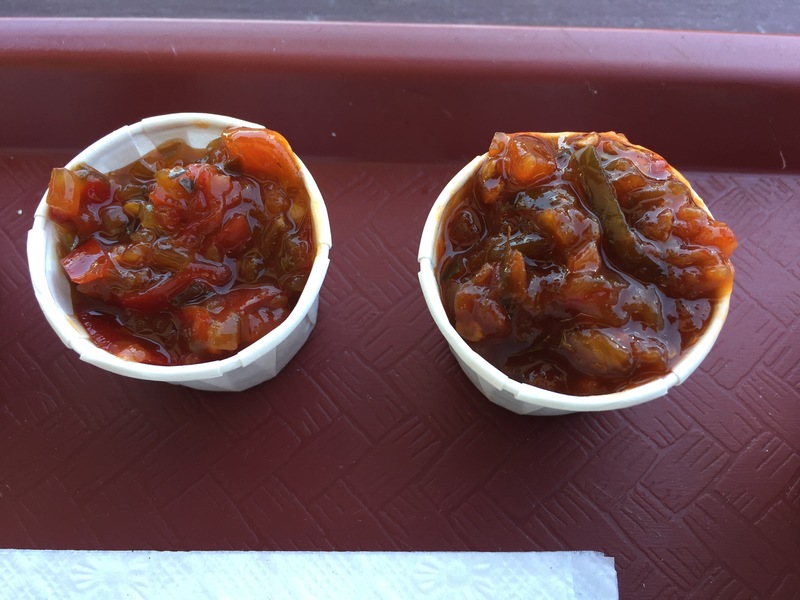 I've always had a fondness for roadside stands and any place that butters and griddles their buns, make their own chili sauce and relish is aces in my book. Have you been to Blackie's in Cheshire? 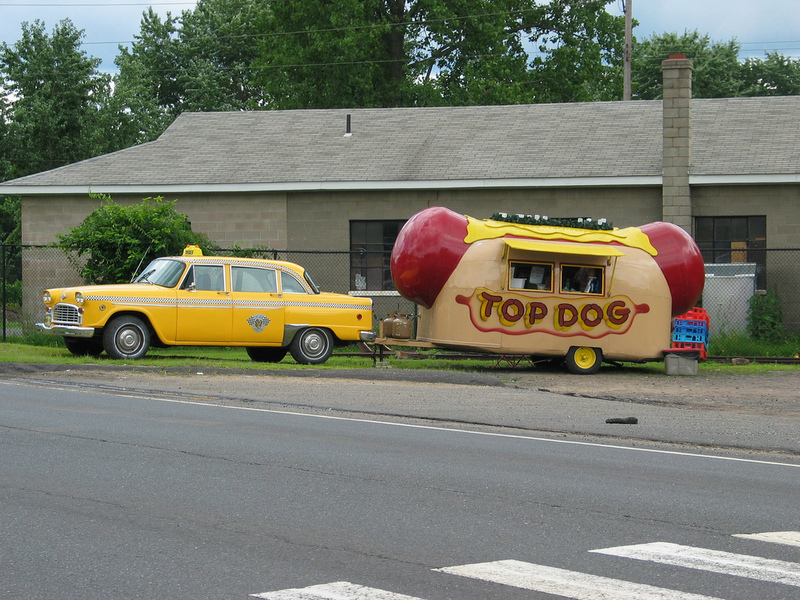 I only went one time in 2008 when Chris & Amy (ayersian on Roadfood) organized a CT metope and I really loved their deep fried dogs and homemade spicy green pepper relish. They're the only place I've seen so far where you take spoonfuls of toppings from containers on the counter. I think MH once said that Howard Johnson's used to have a similar setup. As I dig deeper, I've been re-examining how I categorize things. 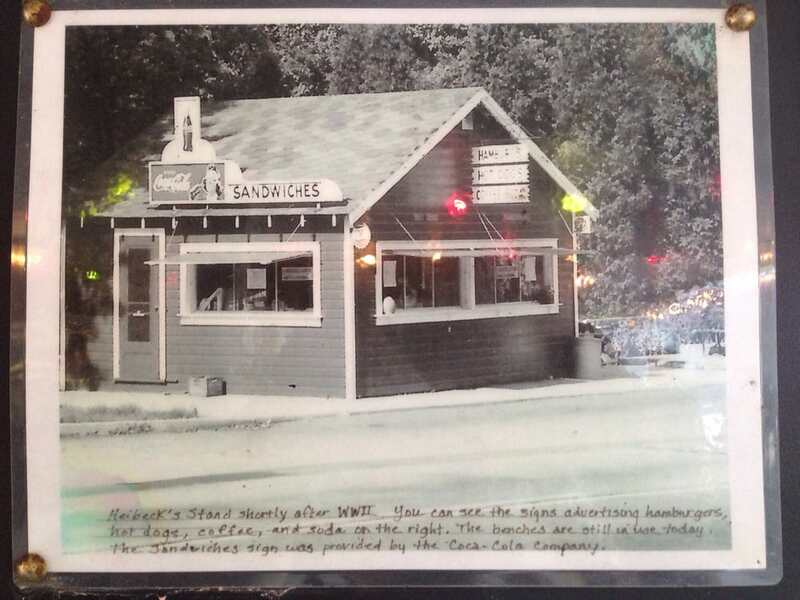 Since there are many catalogs of CT hot dogs already, I was, at first, going to focus on places that were more known for burgers and which had a specific format (food through window, no indoor seating). These are proving to be somewhat silly distinctions. 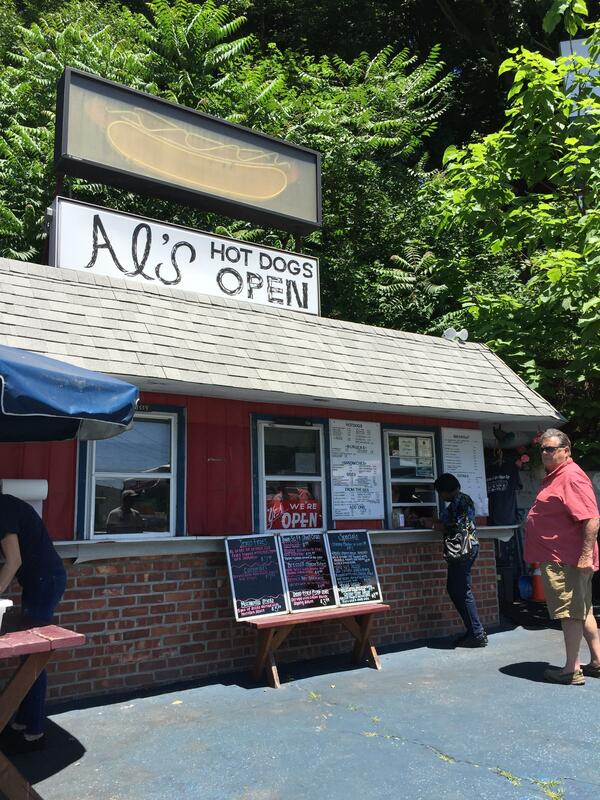 Al's specialty is hot dogs, but it's every bit in the same character as Harry's and Clamp's. Blackie's has a lot of indoor seating, but it's definitely roadside, and when the garage doors are open in the summer you're eating far more outside than inside. Maybe, in the end, the road is the only requirement. Excellent new thread! We were just talking about getting to Clamp's after seeing your last post, this should create a whole new list for us. Will add to it as we come across as well. Happy summer roadfooding! I don't like doing absolute rankings, but honestly, if I had to pick just one place out of everything I've tried so far, it would probably be Clamp's. Their overall quality is excellent, and they're the most charmingly anachronistic - they don't even advertise or have a phone line. They're aware that their reputation has spread (you can see the Zagat sign and Connecticut Magazine in my second pic), but they seem to have been steadfast in changing as little as possible over the decades. Such a fixture is to be admired. Thanks, I have marked several of these on my map as I travel through CT often. Great contribution...as always. 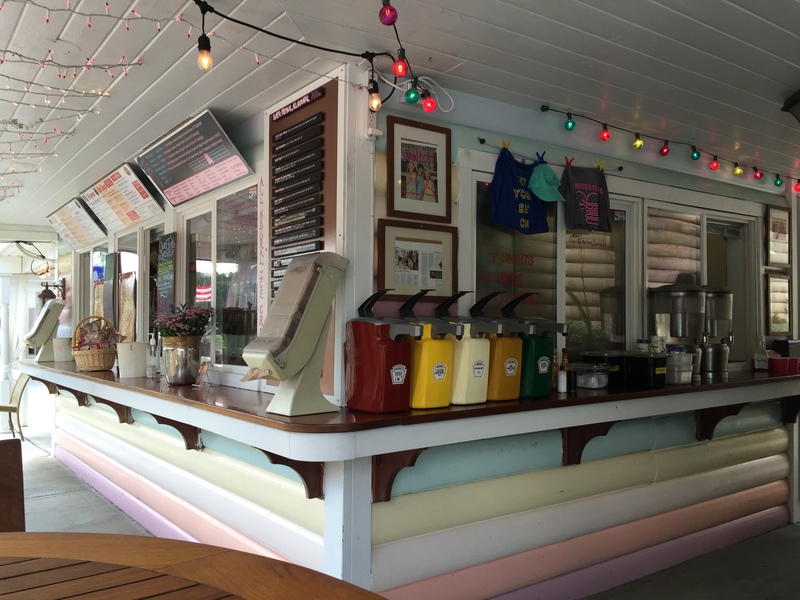 Frozen Custard is a rarity in New England and after a few visits I'm convinced that Scottie's can stand up to some of the best custard stands in the great lakes and midwest. Yay! I know that, to a degree, I'm repeating coverage that the Sterns have already given some of these places, but they're a new thing for me and I thought it would be fun to share my excursions. Yep! Harry's was the second place I listed, and I thought their beef patties were better than Clamp's, but their chili... oof. Nothing special there. I'm not too familiar with frozen custard, but I can't see why I wouldn't like it. Sounds absolutely perfect after a hot greasy meal. It seems like they get comparatively little coverage in roadfood-type lists, but after my lunch here today, I decided that they deserved rather a bit more. This was the second-oldest place that I knew about. Harry's beat them by 11 years. A photo prominently displayed near the windows showed their original appearance. 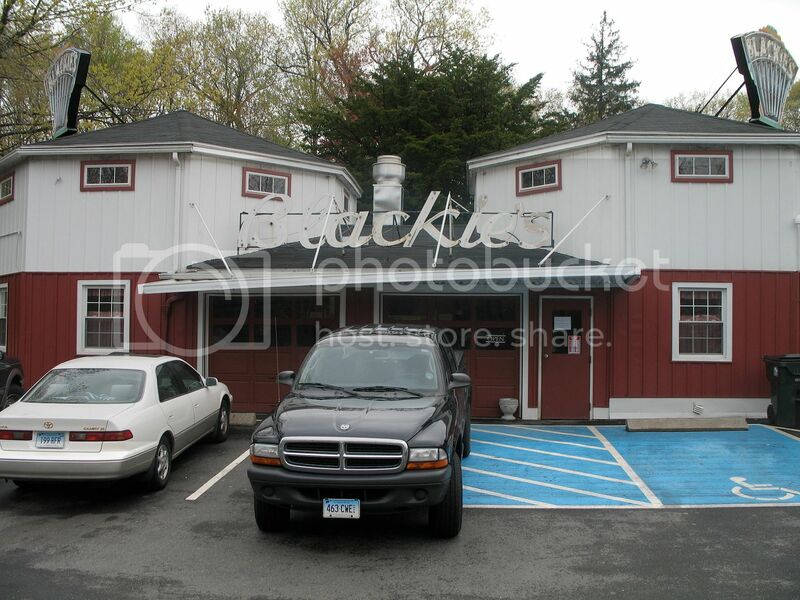 According to their website, the shack was later moved and attached to the main building. I'll be darned if I could figure out the geometry, though - to my eye, everything looked completely different. I have to say that I quite enjoyed the current setup... at least, when I got the right table. Which was this one. You can see the sign for Heibeck Motors in the background. The family was apparently responsible for a few of the surrounding businesses. But enough about the building. On to the food! 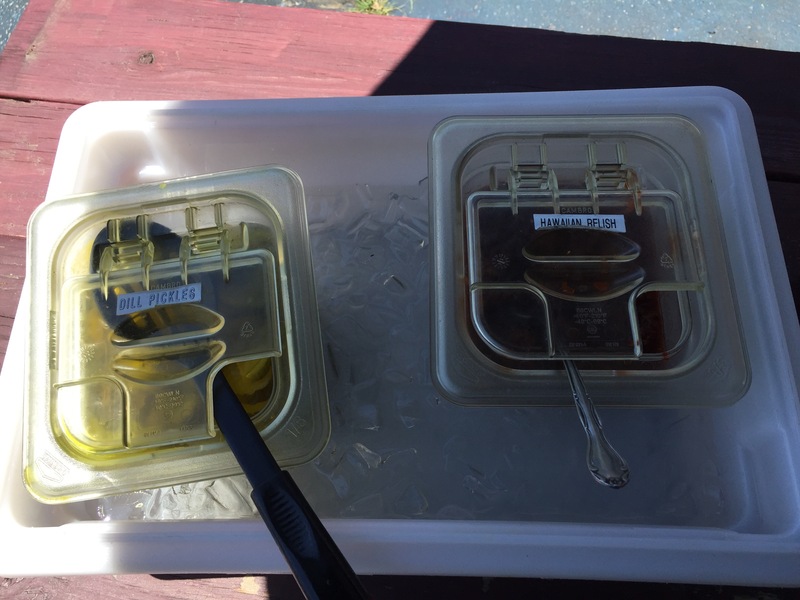 They had both homemade chili and homemade relish, which I've now come to expect from such places. (Ahh, what a wonderful standard to have!) 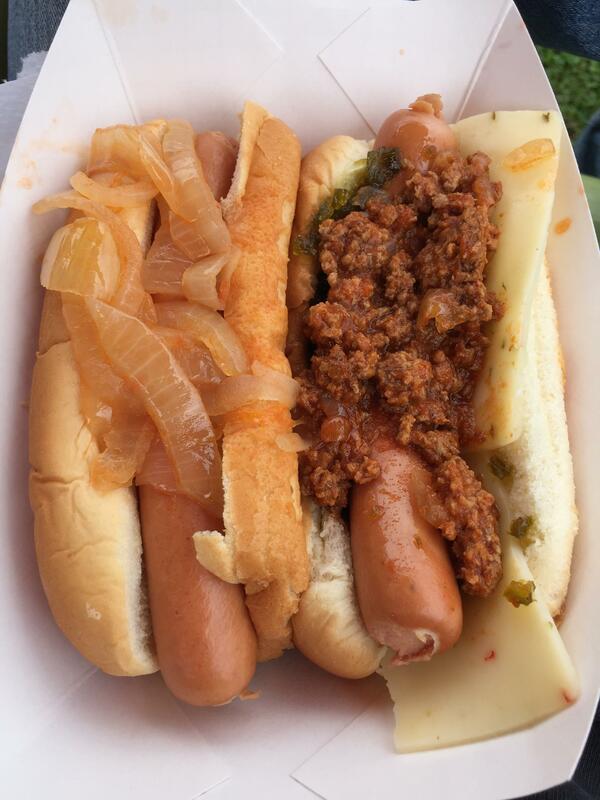 Ordinarily I'd put the chili on a hot dog, but I felt like switching things up today. My, was I glad I did. This here is the "Heibeck Original", which includes lettuce, tomato, pickles, the usual white cheese, and a member of the Thousand Island dressing / Big Mac sauce family called "Heibeck sauce". You can get their chili with or without beans. Where I grew up in eastern Iowa, chili usually had beans, so that's what I went with, but I'm not sure how much of a difference it made. This was, hands down, the best chili I'd had at a restaurant of this kind, beating out Clamp's and Higgies, and it had everything to do with the tomatoes and whatever sublime combination of spices was employed. Just exceptional, and I remarked so to the woman that came out to ask how the food was (who I'd like to think was Bobbie Heibeck, granddaughter of the woman that started everything, but after checking my memory against online evidence, I can't be sure); I was told the chili was a new recipe. No clue how it may have tasted before, but it was sure as hell delicious now. 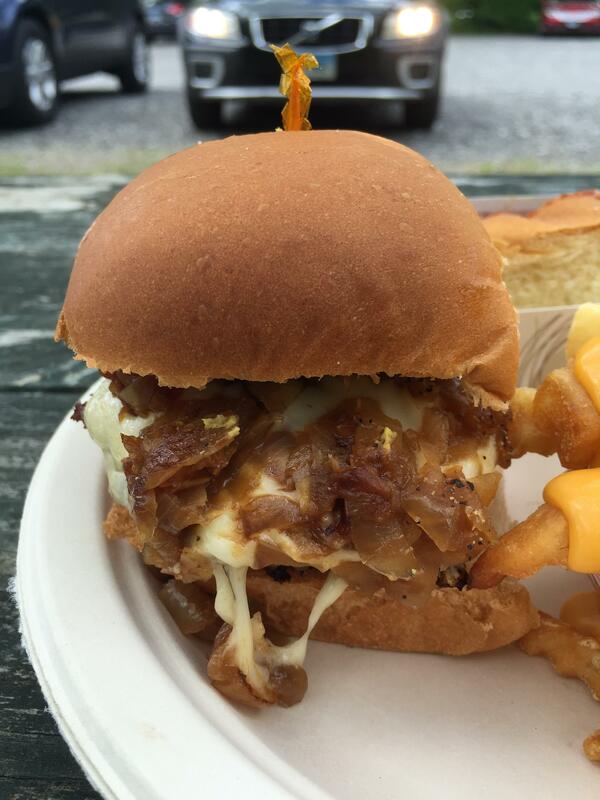 Combined with the cheese and Heibeck sauce, it elevated the burger to the highest tiers of my personal rankings. 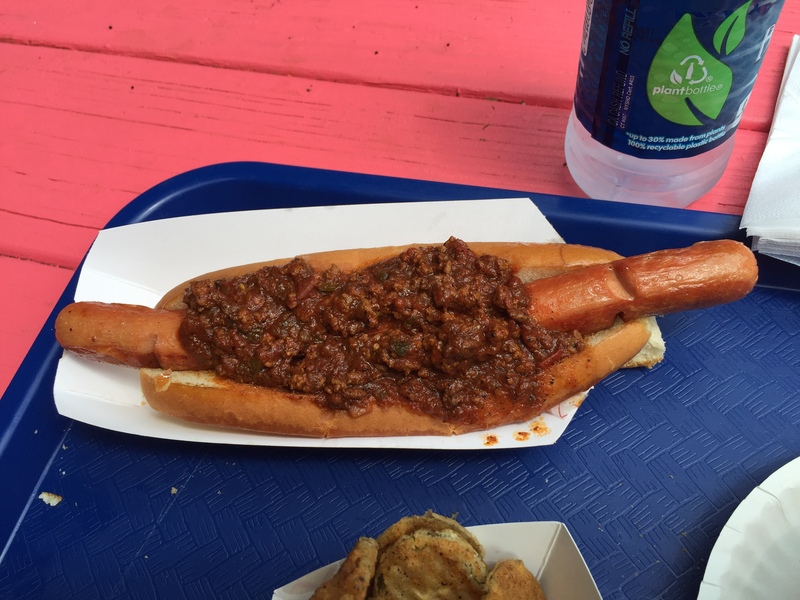 Alas, the hot dog was not destined to reach the same height. 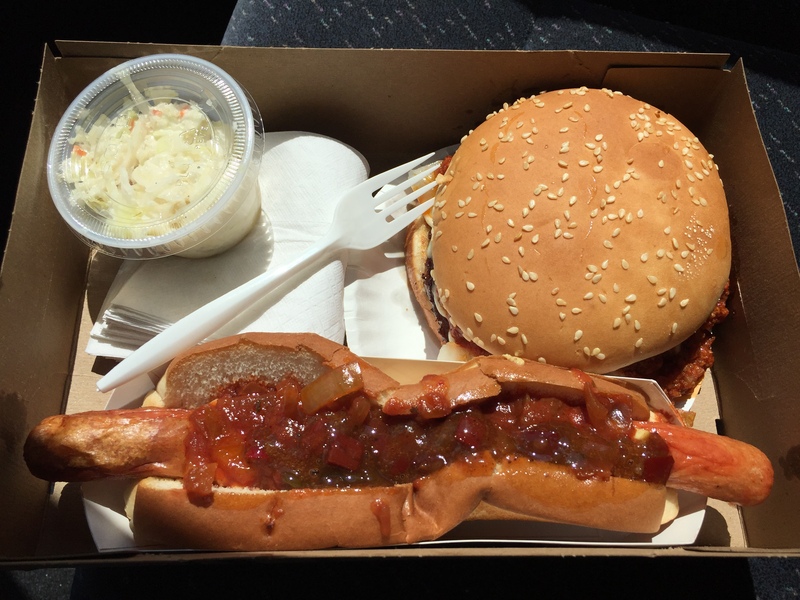 The relish was excellent, in the spicy-sweet tradition of Al's and Blackie's, but there wasn't quite enough of it (you can't even see it in my photo, buried in between the dog and the bun), and the dog itself was an unremarkable Hebrew National. Sorry, guys, but Hummel's, Thumann's, Martin Rosol's - that's the level you need to play at. I got excited when I saw potato salad on the menu, since cold sides aren't something that I've seen too often at these roadside stands. The emphasis is usually on fried things, and if you're lucky, there's coleslaw. Not a memorable one, I'm afraid. I like to think of what it could be if it reflected the same effort that they clearly put into their chili. Ah, well. Fries next time. It's not uncommon for a place like this to earn a recommendation solely on the strength of one dish or even condiment. 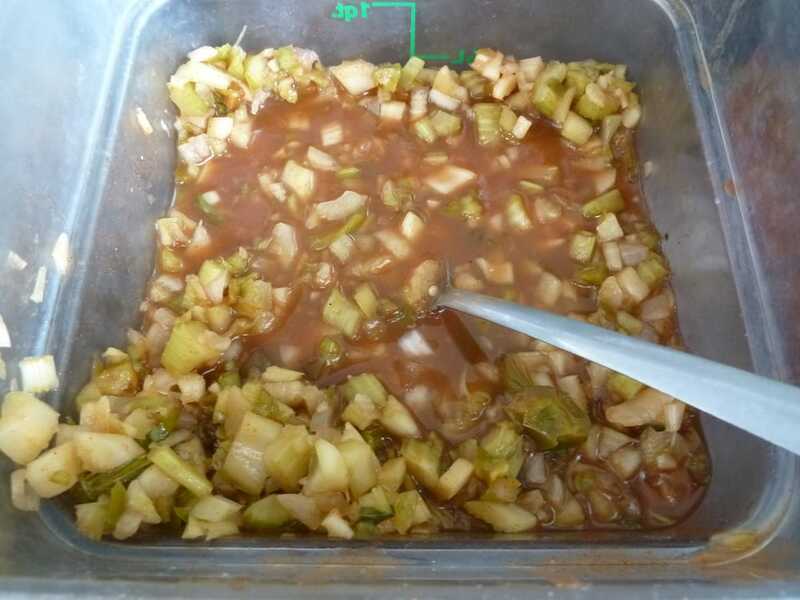 Clamp's has fried onions, for example, while Al's and Blackie's have relish. For Heibeck's, it's chili, in my book anyway. 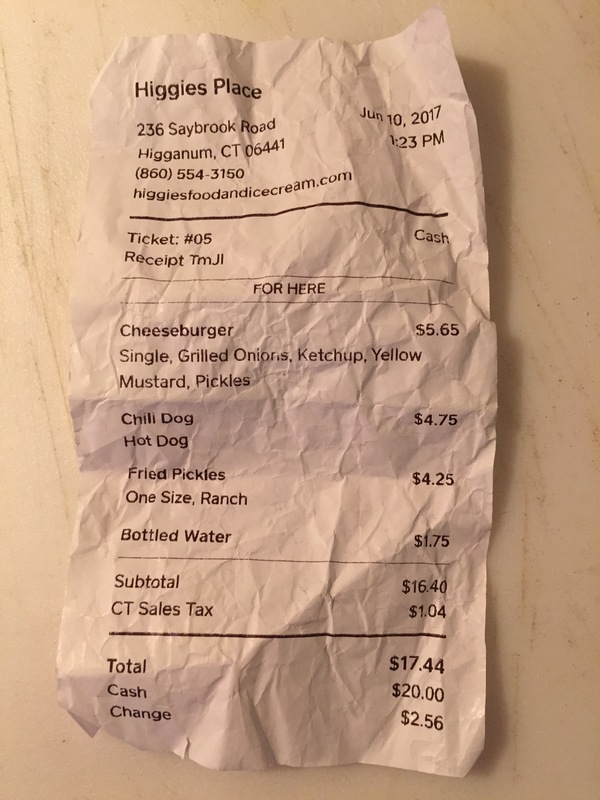 Both that and their relish were good enough to potentially rehabilitate their hot dog on my next visit: I foresee a chili dog with a double or triple portion of relish. Mmmmm. Another nice find! 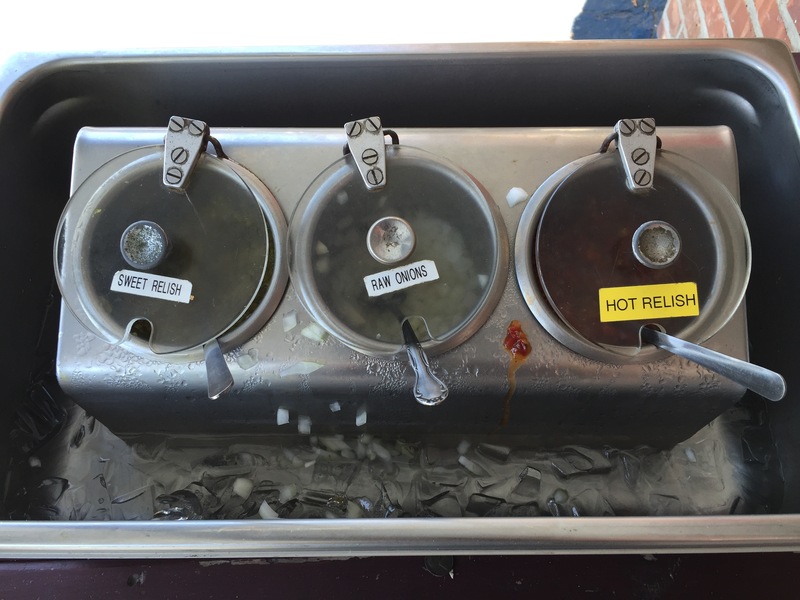 Do you think that more relish would've made the hot dog itself less important? I've never really thought about it that much, but for some reason potato salad seems to me like it could be a Midwest thing; even if it wasn't invented here it's sure been perfected here. So I guess I'm not surprised that a)you don't find it very often and b)when you do find it it's fairly generic. 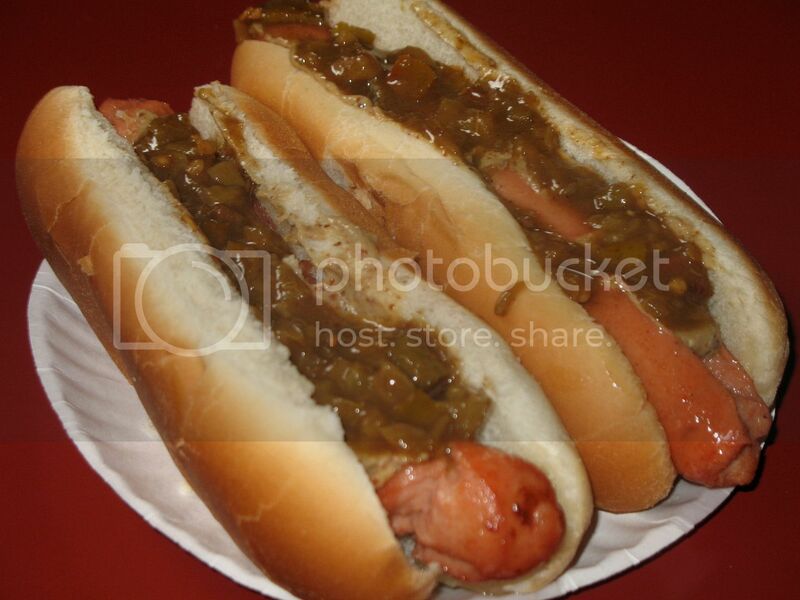 That hotdog looks like a generic supermarket 8 to a pack. A place like this should do better. I'm very fussy about good hotdogs. Why would I go out of my way to a place like this for relish?? 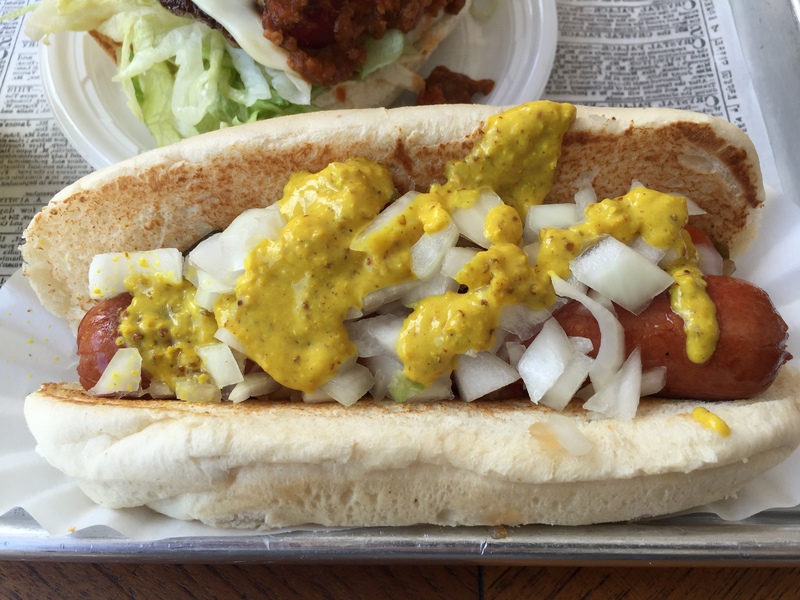 Why make great homemade relish and put it on a generic hotdog? Don't get it. 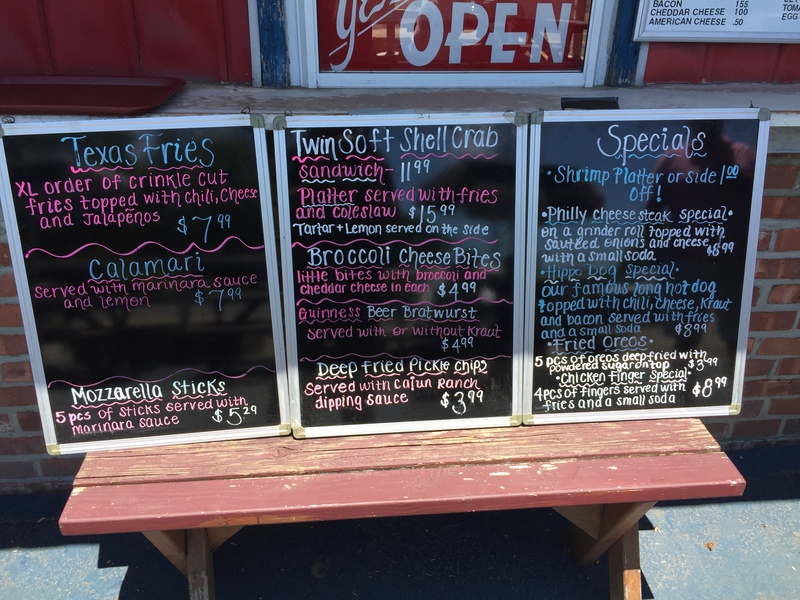 I think the potato salad thing is just because most of these roadside places are focused on griddle-frying or deep-frying things. 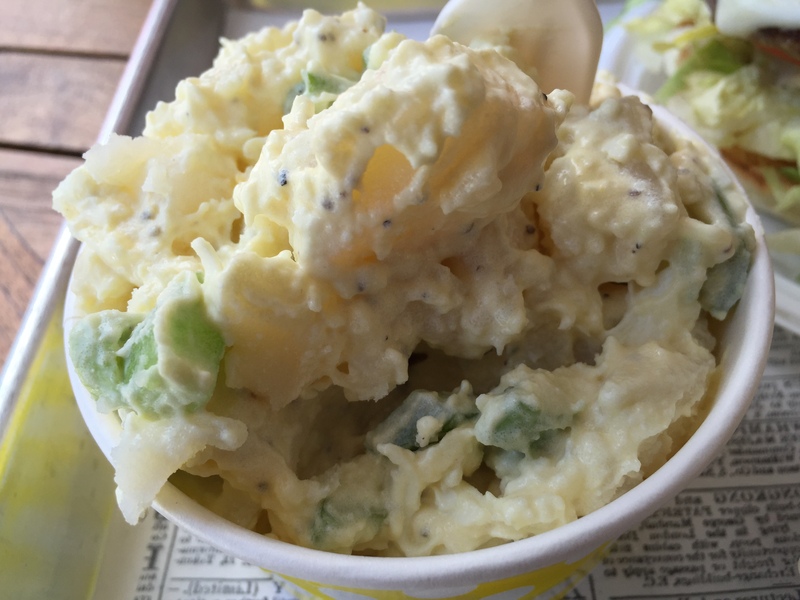 I've seen potato salad in plenty of local grocers, sandwich shops, and sit-down restaurants. As for the hot dog... yeah. I think they're doing themselves a disservice. If you have excellent relish - and they do - then it deserves a quality dog on which to sit. I'd actually become so accustomed to the CT/regional brands that the averageness of the Hebrew National was distracting. ...and by God,that little dog barely fits the bun....not good! 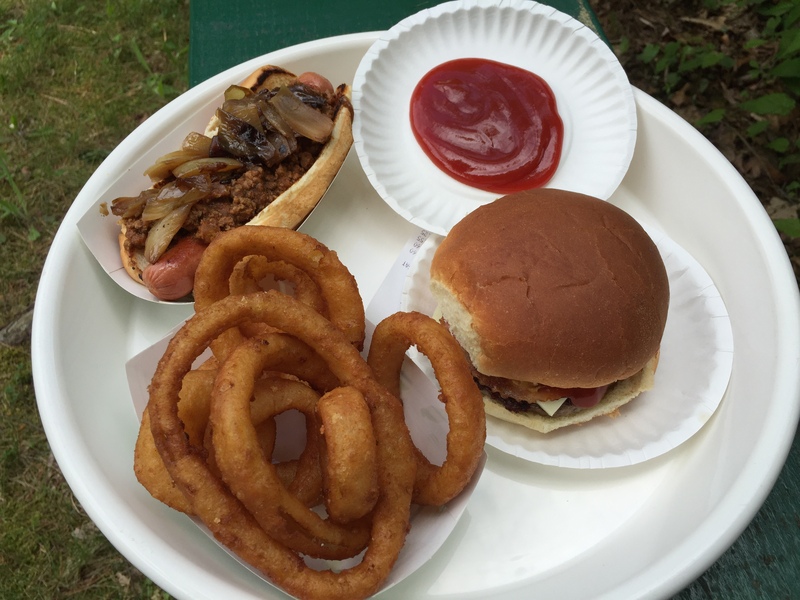 I want to emphasize that, while the hot dog was lackluster, the burger was exemplary. 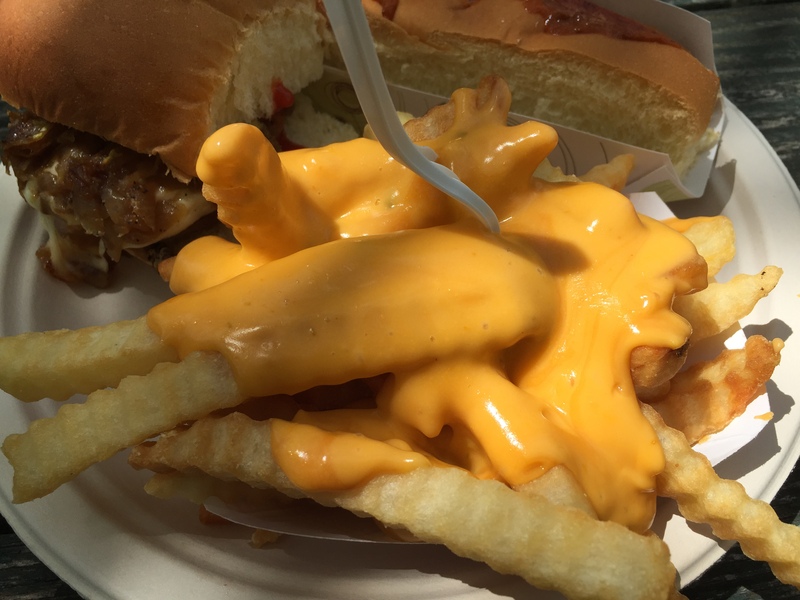 The combination of the beef, cheese, "Heibeck sauce", and chili was enough to make the entire place worthy of recommendation. 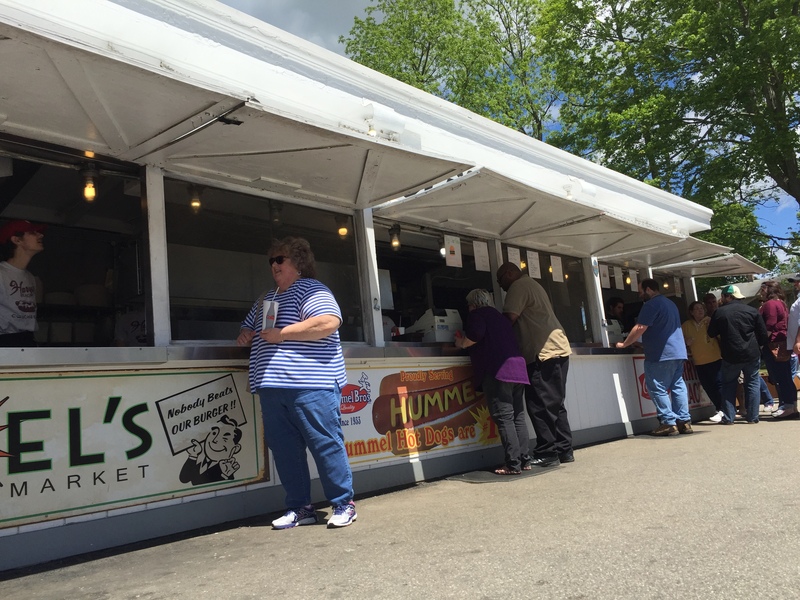 So, just as you wouldn't go to Blackie's for a burger, don't go to Heibeck's for a hot dog! 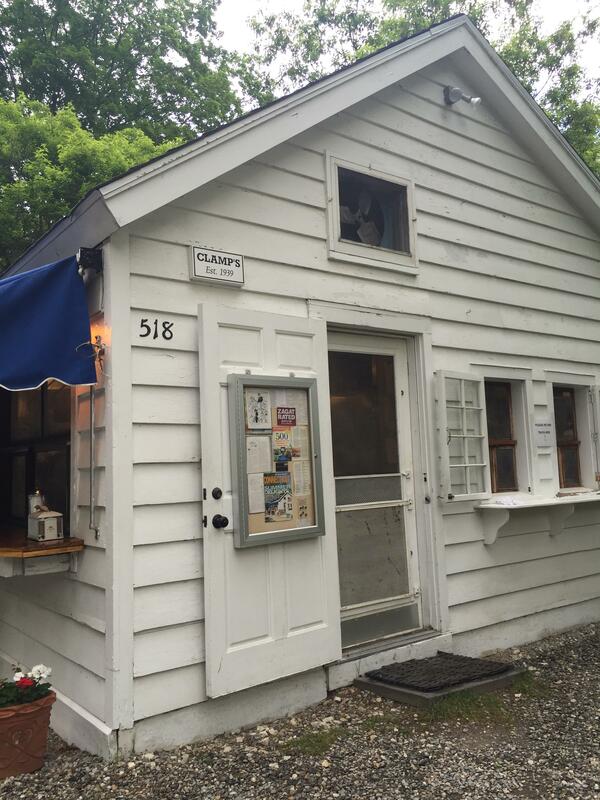 Well, if the Haddam Bulletin ever investigated as promised, then there's nothing about it in their July issue... but a Haddam local posted on the Pilot House's very unofficial Facebook page that they merely weren't open "this year". They're not tolling funeral bells, so I guess that the place skipping a summer is something that's happened before. We'll see about next year, I guess. If somebody dropped the ball that's pretty bad. I'd send a letter to the publisher and ask why; a good small-town weekly shouldn't ignore any question, ever. 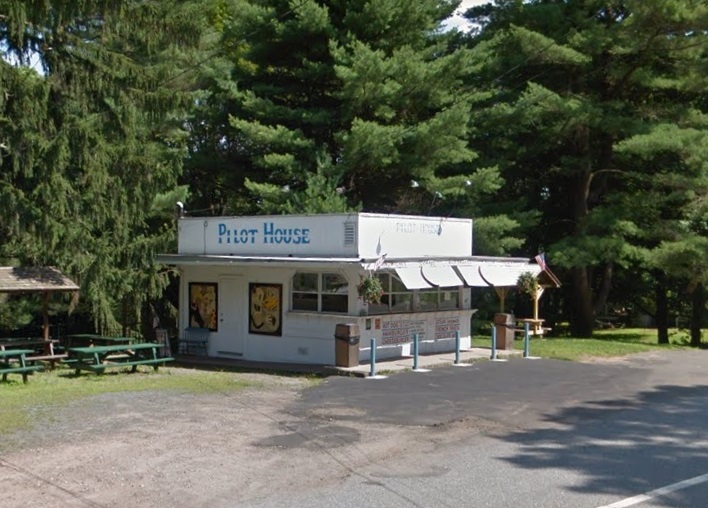 But hopefully what you learned is true and Pilot House will be back next year. 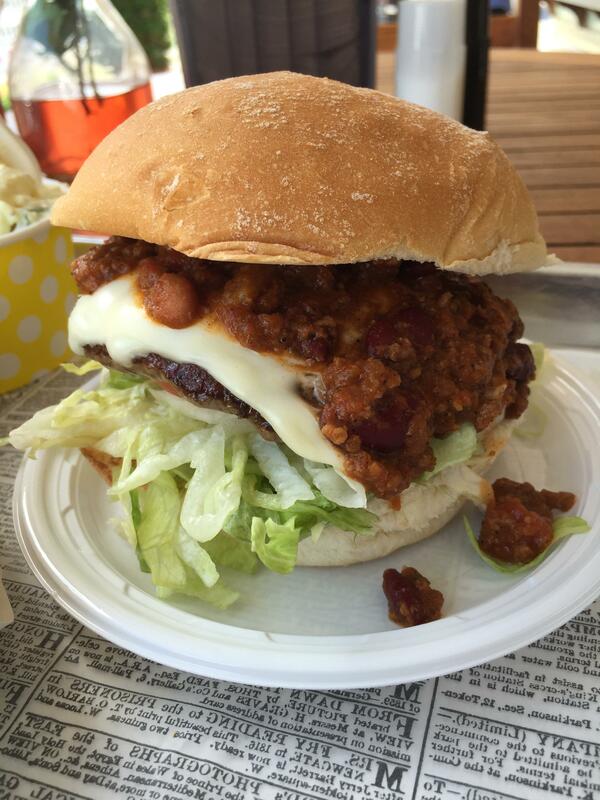 Heibeck's burger with chili looks outstanding! 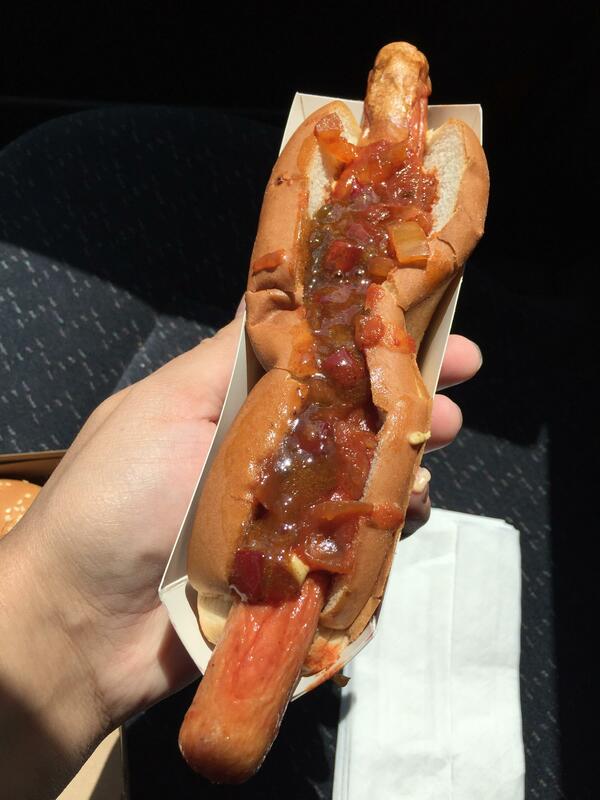 What kind of bun was the hot dog on? It doesn't look like a split top or a Midwest style. Looks like a hoagie roll. Any chance there was room for ice cream and if so, any good? Love the Al's New England style bun, looks pretty good, but what is it about shriveled dogs, they just don't look appetizing, and usually when I have one is dried out on the outside and I'm likely to return it and ask for one cooked right. That and I also see burst dogs in other photos, is this normal? As a sausage maker I'd be a bit upset if we were serving either that looked like that! Finally deep frying a dog is just well not done...like ketchup on a Chicago style. I'd go bonkers if I found someone deep frying our franks! Love your post, lots of work to put together and its appreciated! 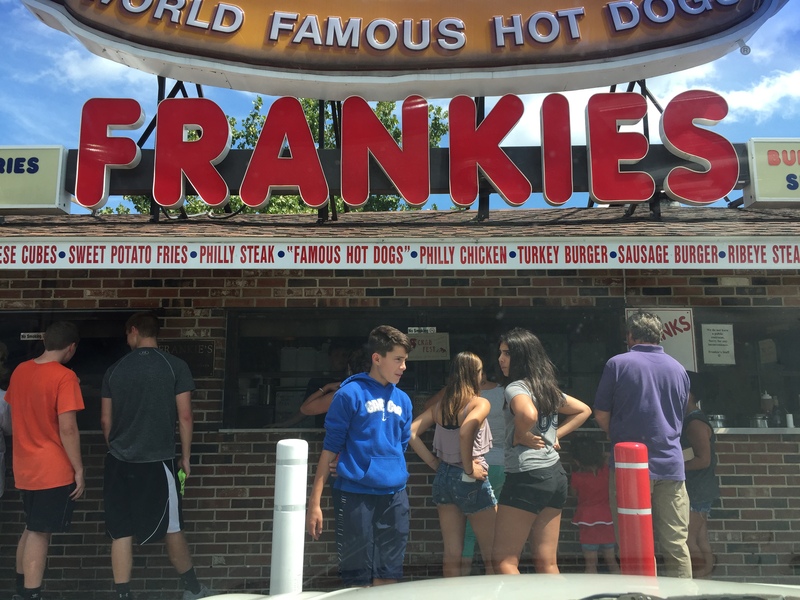 I'd intended to go to Denmo's yesterday, but clogged traffic on the eternally-under-construction I-84 "convinced" me to go to Frankie's instead. 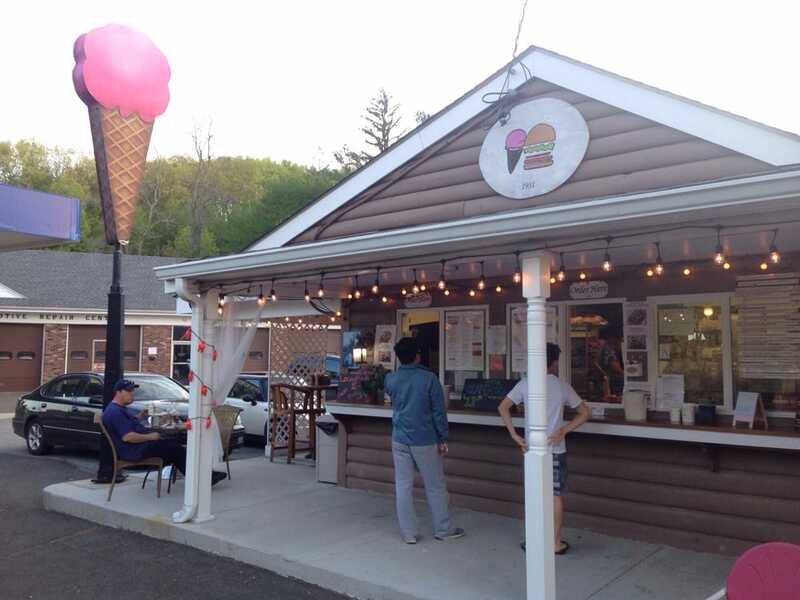 It was just as valid - after all, I'd never been to their original location, just the ones on Reidville Drive and at the Westfield Mall in Meriden. 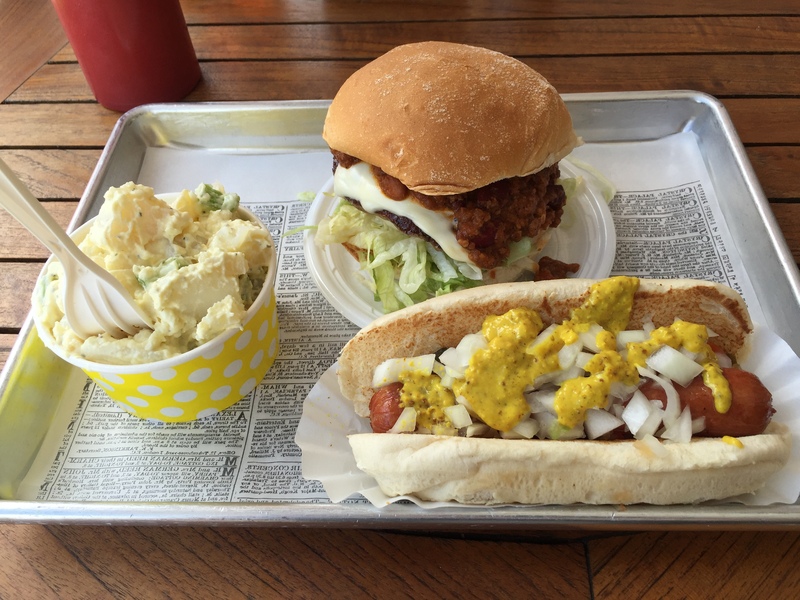 Many items were tempting, but for this visit, I stuck to a basic order: a burger, a hot dog, and a side. 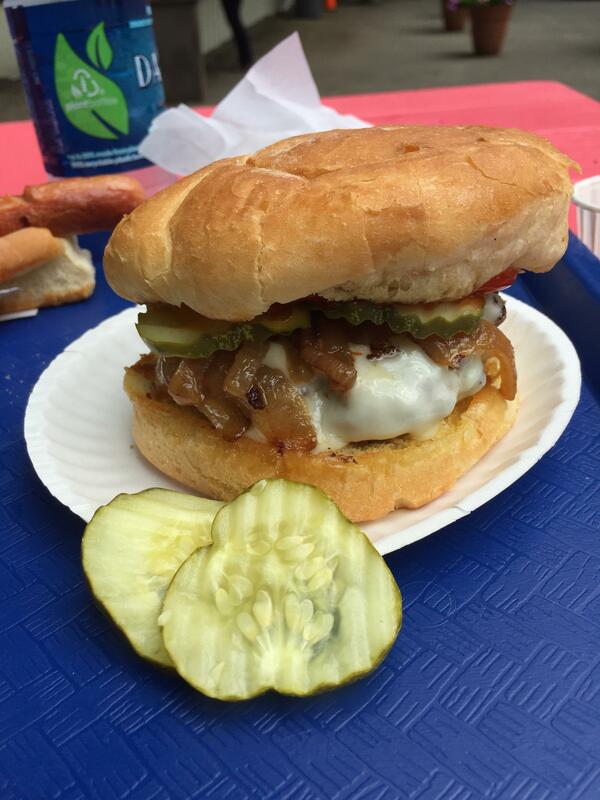 My verdict of the burger with chili, cheese, and grilled onions: good, but not in my top five. The chili was solidly middle of the road - tomatoey, inoffensive, and lacking either the kick of Higgie's, the meatiness of Clamp's, or the socks-knocking quality of Heibeck's. The burger itself was competently prepared, but I didn't find myself hankering to order it again. Maybe with different toppings. 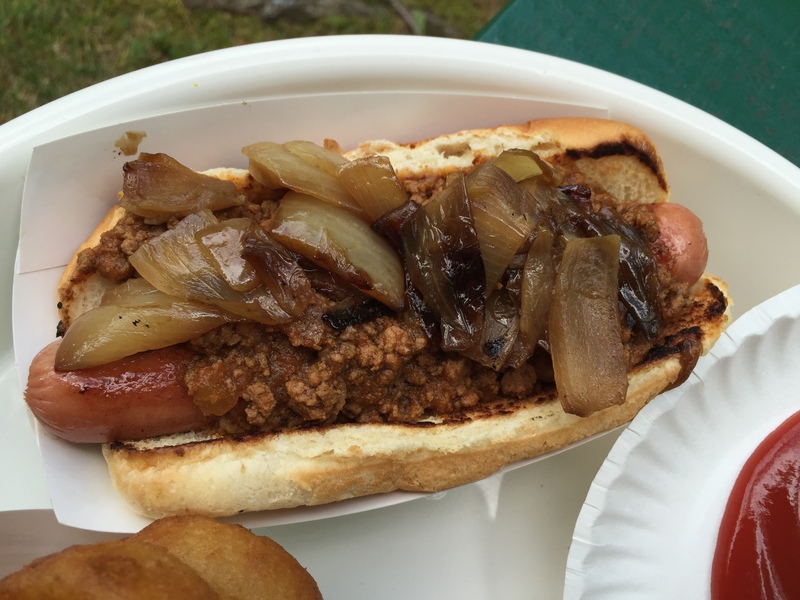 The hot dog fared better, which wasn't surprising, as this was what they were known for. I decided to combine their onions-in-tomato-sauce with their house relish, and then wished that I'd left off the relish. The latter is not needed if you have the former, which is done in the NYC tradition, and, unfortunately, obscured in my picture as a result of my choice. As with some other places, Frankie's is a matter of feeling out what works and what doesn't. I learned some lessons that will be applied next time. Now this hotdog looks like the real thing, no ball park sized commercial supermarket-looking dog here! !